Durable Quality- waterproof oxford material, with whole quilt store bag. Top zipper make easy opening and closing. Complete protection: you can store and complete protection your stuff from dust, moths, moisture, and rain. Sleek sophisticated design: you can easily use this bag in any circumstance during school, corporate events, pool parties, family outings, cruising and much more. 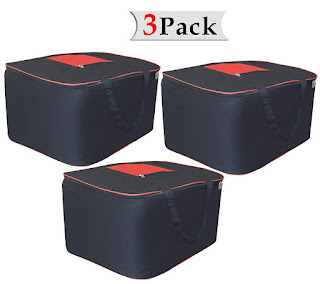 Multiple uses: the bag can storage lots off stuff which you can not frequently used items in your household.